When Paul Yi joined the Business Development team at JFE Franchising, his first move was to explore innovative, tech-forward ways of connecting with buyers. Tired of the same old cold-calling, never-hear-back routine, Yi was excited when he found RangeMe. As a RangeMe Premium member and tech enthusiast, Yi takes advantage of all of the Premium features available to him, particularly Sharing and Sharing Insights. Read on to learn how these features are proving to be an incredibly valuable way for JFE Franchising to gain traction with buyers and inform their sales strategy. 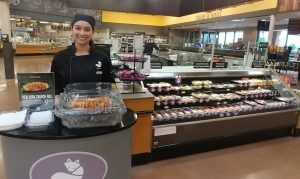 JFE (Japanese Food Express) Franchising specializes in fresh, prepared on-site sushi. 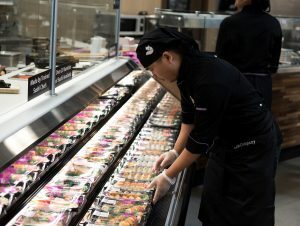 They currently have more than 800 fresh sushi program franchise locations in various retailers across the United States, as well as numerous standalone sushi shops in South Korea, under their popular Snowfox Sushi brand. This search ultimately led him to RangeMe, and Yi was excited to set up a profile for JFE Franchising and become a Premium member—and from the start, he’s seen success. With RangeMe, suppliers can email their profile to buyers directly from their account, or easily create a custom link to their profile to share in external buyer communications. RangeMe Premium members get exclusive access to Sharing Insights, which breaks down exactly how buyers are interacting with the shared link, including the number of unique visitors, average time spent on the profile, and conversion rate. Yi immediately saw the value of being able to share JFE Franchising’s profile and track these shares, and took advantage of these features right away.